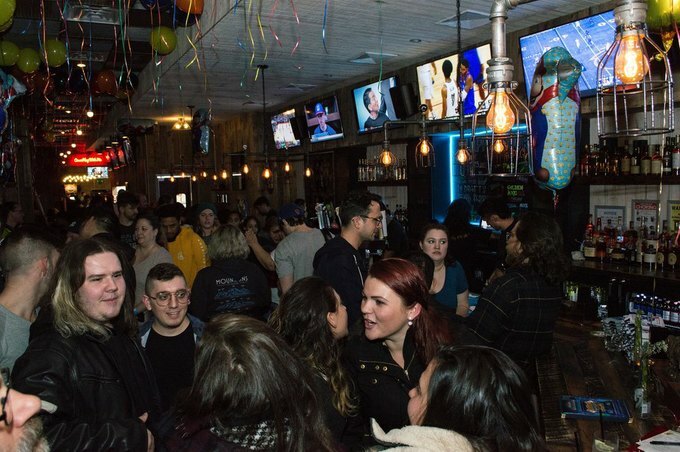 This past Friday Bushwick finally welcomed Tiltz, an exciting sports-bar-restaurant-arcade lollapalooza, with a true grand opening after a two-year renovation process next to former dive bar The Wreck. 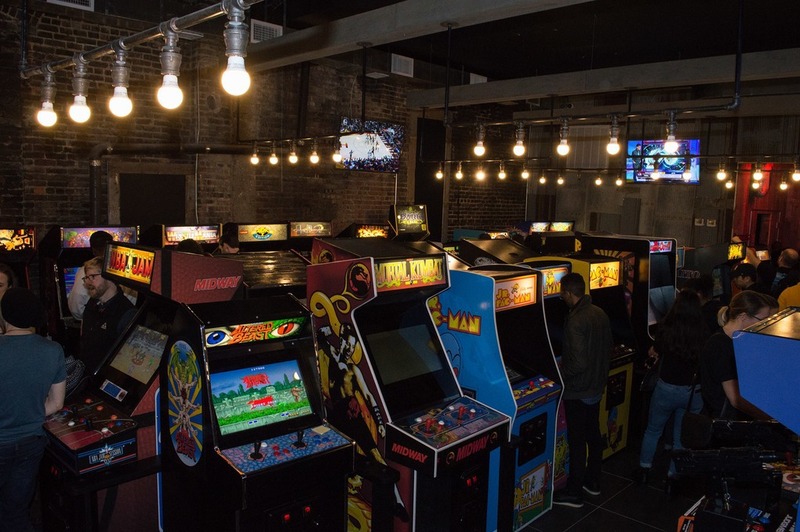 The new space has a bar, a dining area, and an arcade with classic games like Super Mario Bros, Primal Rage, Mortal Kombat and Dance Dance Revolution. 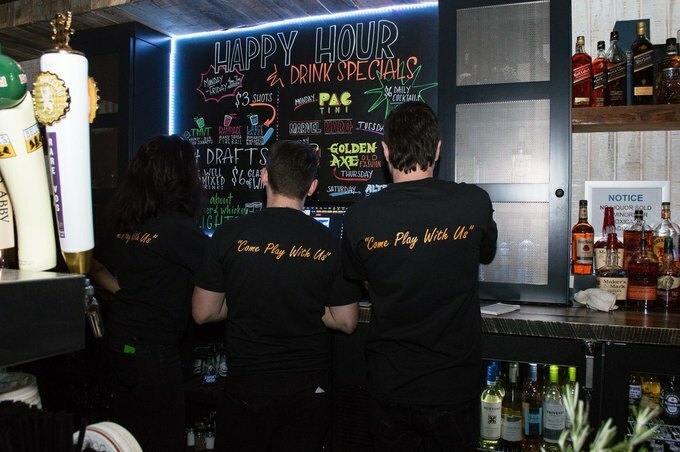 For more sporty people, they plan to show important games of a variety of athletic disciplines on multiple flat screens across the restaurant. Michelle Licata, mother of the owner, born and raised in Bushwick, is ecstatic to give back to the community with this new family-friendly business. “Building out took over two years, we had to upgrade everything from plumbing to electric,” she said. Michelle has another company, MLicata Entertainment, and is a booker and manager for live bands when she’s not helping her son Gregg with Tiltz. The opening night was bustling with energy, and there were locals ages from six to 60 and it included families and groups of friends. Tiltz is kid friendly, allowing families to enjoy a night together of playing games and sharing a meal. 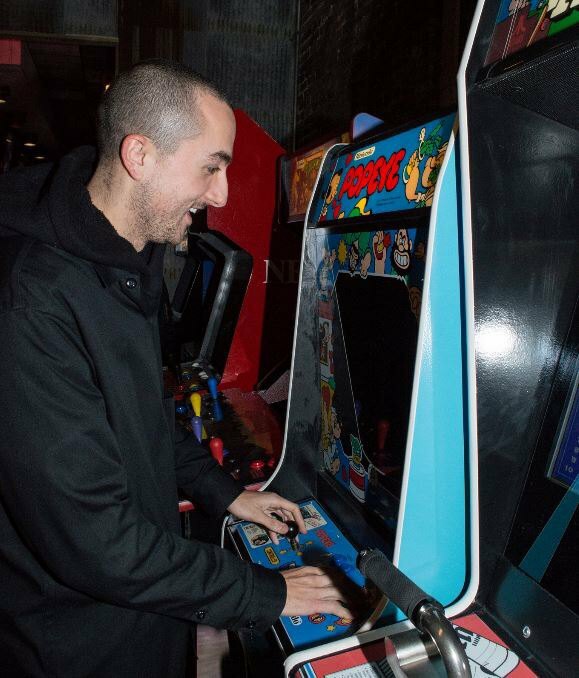 The restaurant offers craft cocktails with a spin on vintage arcade games, a curated menu by Chef Barret Beyer, a former contestant of Hell’s Kitchen. A Long Island native, Chef Barret didn’t start his career in cooking until after serving in the United States Coast Guard. The chef is a long-time friend of the owner. Tara Wight, a Brooklynite as well, had a warming and positive experience at the new neighborhood bar. Craft cocktails are $12, with an everyday $6 special on a single cocktail. A can of PBR is $5 and a selection of draft beers range up to $9. Tiltz is an exciting new casual theme concept featuring over 50 Retro and state of the art video games, pinball machines, basketball shooting games and foosball paired with a full service bar featuring a rotating craft beer list. Mon - Wed: 4 p.m. - 12 a.m. THUR: 4 p.m. - 2 a.m.
FRI: 4 p.m. - 4 a.m. SAT: 1 p.m. - 12 a.m.
SUN: 1 p.m. - 12 a.m.